Remember an epic golf round with our Crystal Golf Ball Wine Stopper! 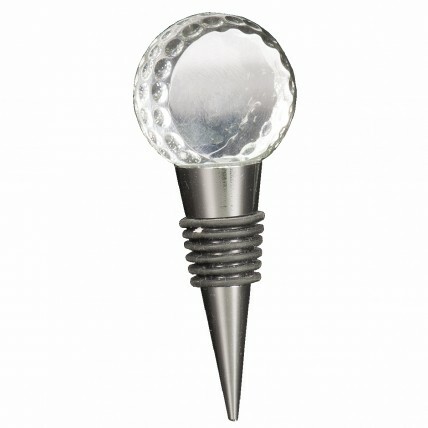 This elegant wine stopper features a crystal golf ball on the top. Engrave with your team name or date, or course logo. Price includes 1 line of engraving. Overall height is 4 inches tall; golf ball measures 1 3/8" high.